M Street Kitchen was formerly La Grande Orange. La Grande Orange had its share of service-related issues, and I hoped to discover that these had been ironed out with whatever shake-up precipitated the name change. The menu looked substantially similar, the Cheeseburger, which previously went for $12 was still at that price. I ordered the cheeseburger, and after about 15 minutes, it arrived. It is important to note the the cleanliness and service issues from the previous issues not not resurface on this visit. The Beef: This was Sirloin, and it was ground in-house. The burger was juicy without being greasy. The strong beef note from the Sirloin carried throughout the entire bite. There was a pleasant funk from the dry-aging process, but that scent did not translate into the flavor of the dish. The beef was excellent if only a little on the tame side. 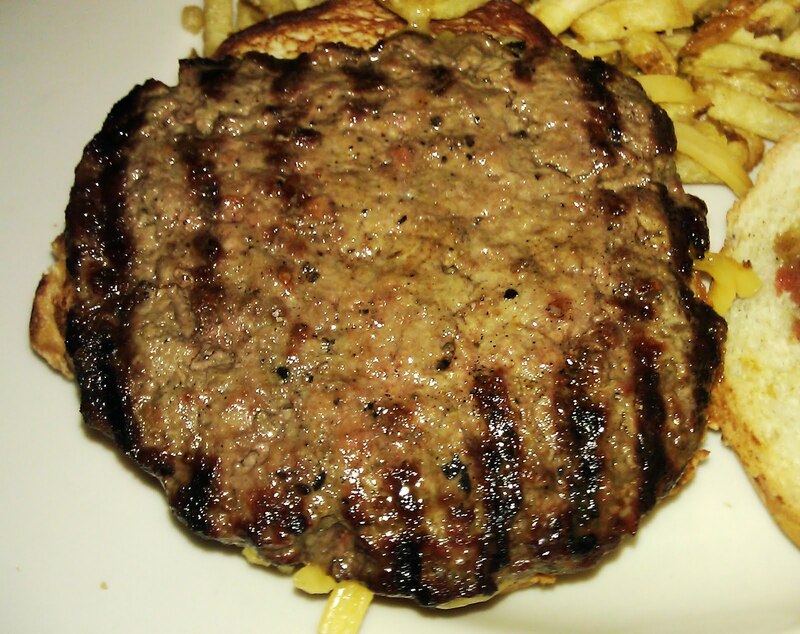 The Seasoning: The beef was gently seasoned on the exterior of the burger patty. The blend did not appear to contain any seasoning. The Sear: In spite of being grilled over White Oak, the sear was very poor--non-existent at the center of the patty. This was surprising, since the sear was marvelous at the time of the previous review. The Preparation: The Sirloin was properly handled, so the bite was firm but not chewy. The beef was ground at a Medium setting. The 6-7 ounce patties were hand-formed to about 1/2 an inch in thickness. The burger was grilled to a juicy Med-Rare. 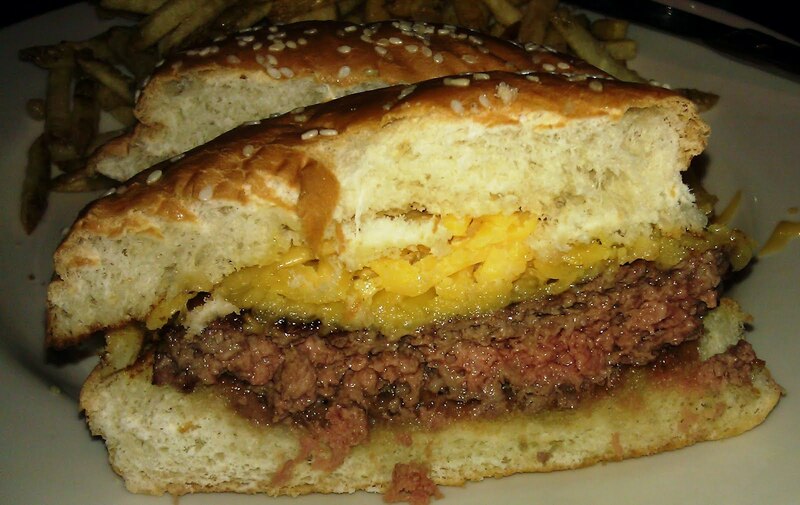 Sadly, the sear was lacking, so the burger was lacking the depth of texture, which we look for. 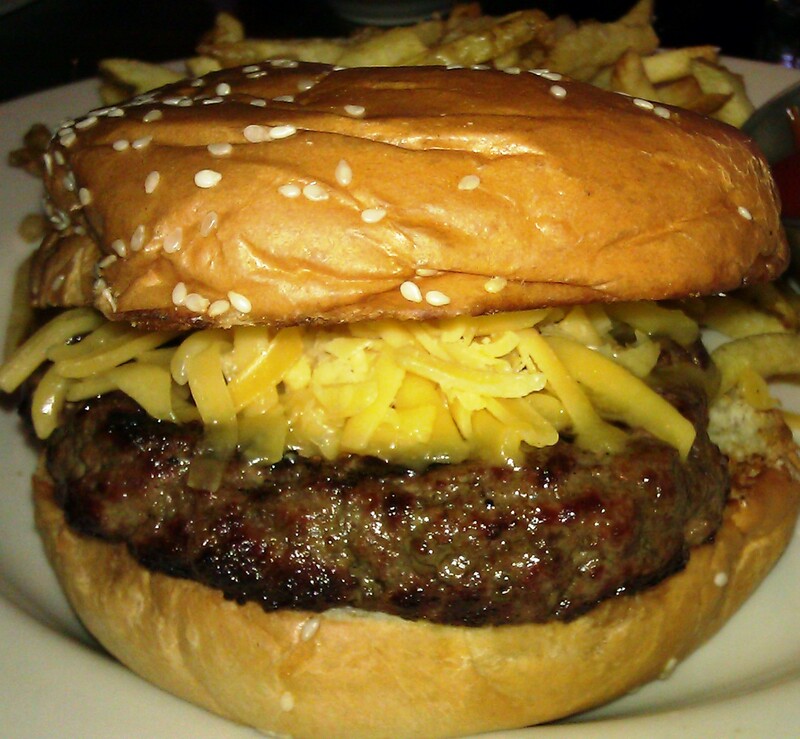 The Cheese: This was the same tangy, shredded Cheddar that topped the burgers on the previous visit. This time, however, the cheese was not melted. The cool cheese served to chill the bun and the surface of the burger patty. 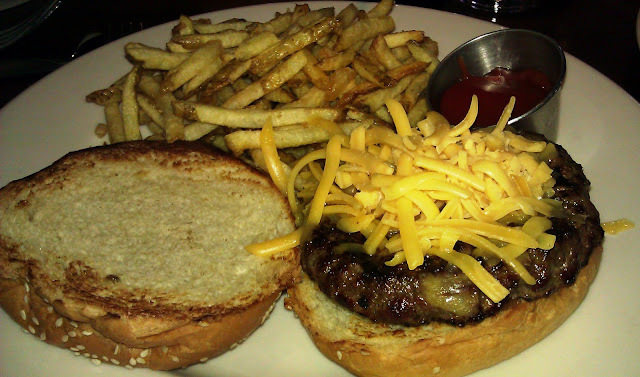 Previously, M Street Kitchen had briefly melted the cheese under a broiler. That did not happen on this visit. The Bun: The bun was markedly improved. It was a resilient, fresh, perfectly toasted, seeded burger bun from Melrose Baking Company. The Meat To Bun Ratio: Perfect. The Fries: The skinny fries were wonderfully crisp with just the right amount of sea salt to bring out the flavors. The Toppings: The Iceberg Lettuce was shredded/soggy, and the tomato slice was on the mealy side. The Value: The Value was average at M Street Kitchen. It was 12 bucks for a mostly good Sirloin burger. M Street Kitchen delivered a much improved dining experience in terms of cleanliness and staff. It did seem that consistency continues to not be the strong suit. Overall the burger was good, but it was not quite excellent due to some easily remedied issues. Burger Review : A better than average cheeseburger with a few minor issues. It was certainly better than the previous visit. Really 3.5 due to the unmelted cheese, the weak sear, and the substandard toppings.